Not the healthiest of breakfast foods, but can be exactly what one needs on a Sunday morning. 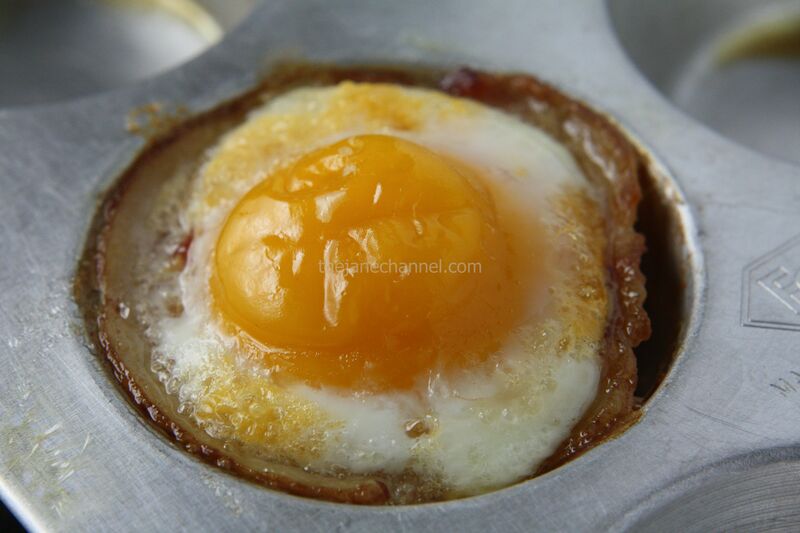 Poaching or boiling an egg to the right doneness can be very difficult to achieve, whereas using a fixed temperature and the correct cooking time in the oven pretty much guarantees that your egg will be cooked exactly how you want it. 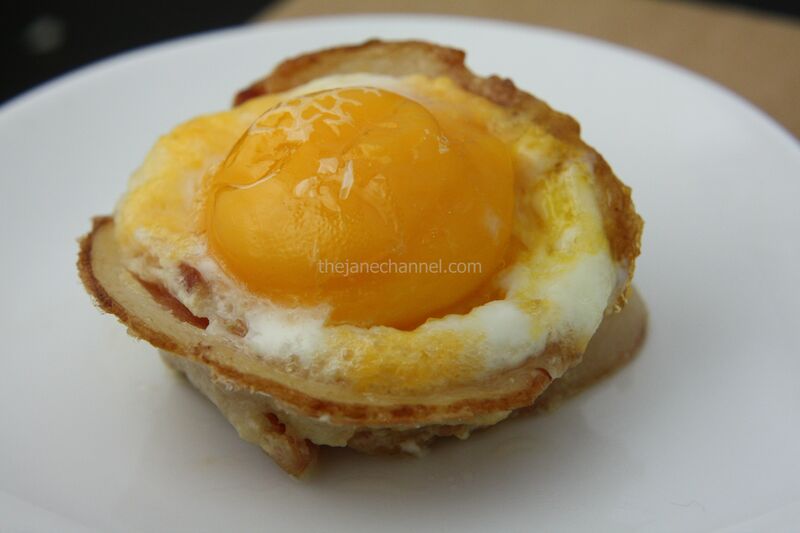 Press one slice of bacon onto the bottom and up the sides of each muffin cup, forming a shell. 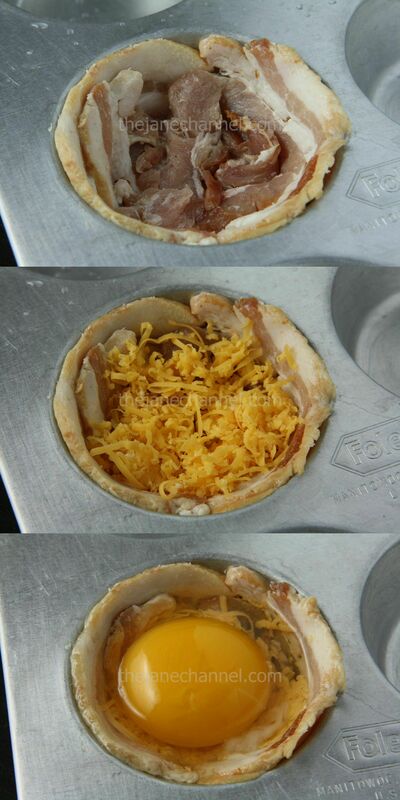 Arrange shredded cheese in each shell. Break one egg into each cup. Bake, uncovered, at 350° for 20 minutes or until eggs are completely set. It was great! Easy to make and very delicious.